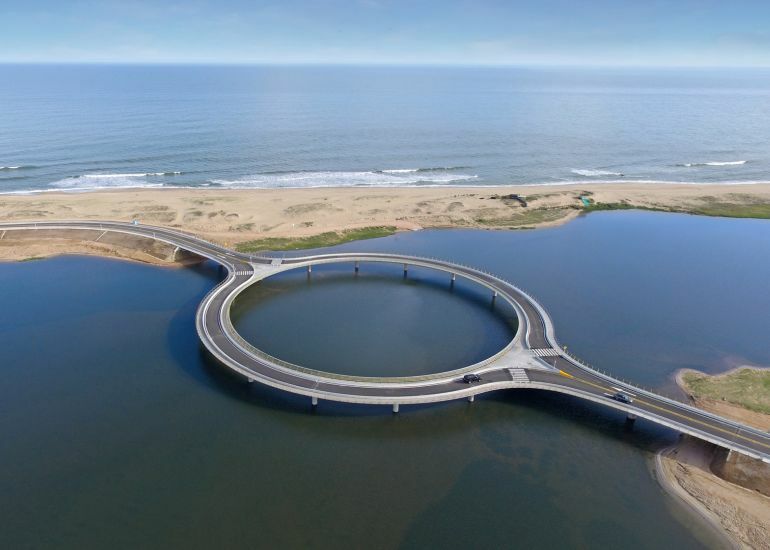 Built over a lagoon in the southern part of Uruguay, the Laguna Garzon Bridge’s unique ring-shaped design was conceived by New York-based architect Rafael Viñoly. 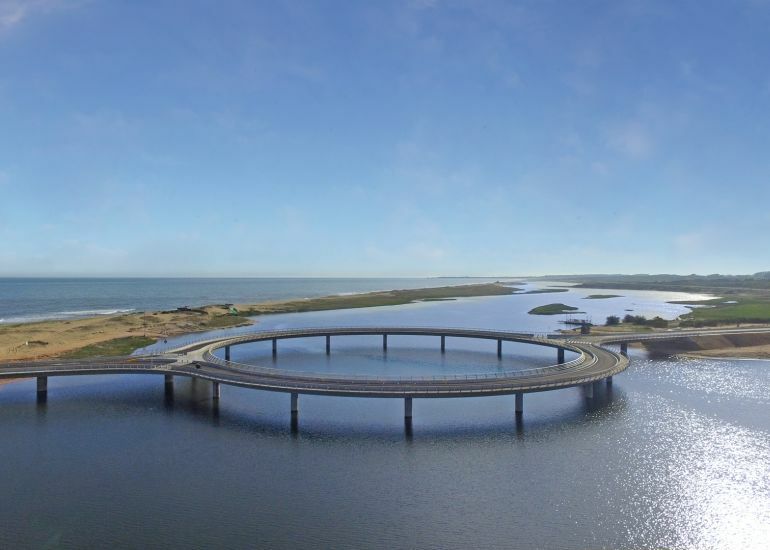 Connecting the cities of Maldonado and Rocha, the stunning concrete structure, which is used by 1,000 vehicles every day, was constructed to take the place of a raft crossing. 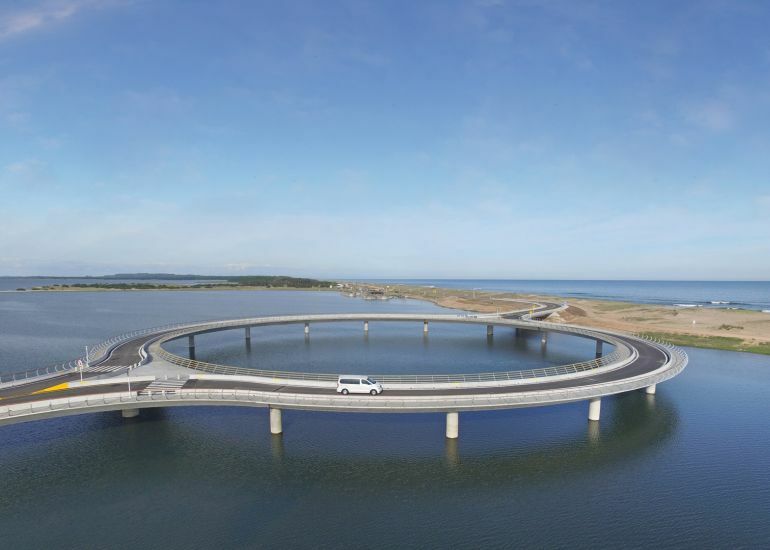 The concept of the Puente Laguna Garzon was to transform a traditional vehicular crossing into an event that reduces the speed of the cars, to provide an opportunity to enjoy panoramic views to an amazing landscape, and at the same time create a pedestrian place in the center. 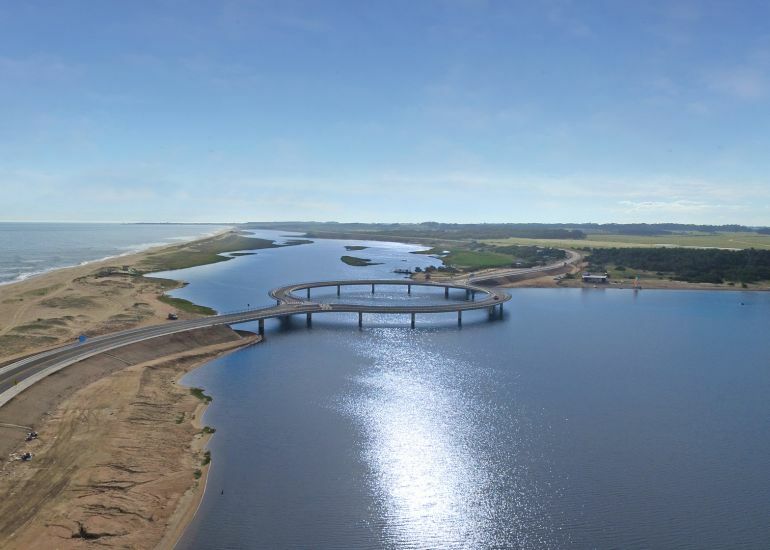 I accepted to design the bridge on the condition that Route 10 – a federal highway that has been the main access to the beach resorts along the Uruguayan coast and one of the most destructive planning drivers of the territory – be downgraded to local jurisdiction in order to better control the development process. A few months ago, Viñoly unveiled plans for the long-awaited Battersea Power Station redevelopment project in London, which envisages a thriving metropolis around the historic building, complete with a bustling shopping center, 3,400 new homes and even a stunning rooftop infinity pool. The Uruguay-born architect is also part of the team, currently working to transform the 50-acre Vallco Shopping Mall in California into a spectacular mixed-use complex, featuring the world’s largest green roof. 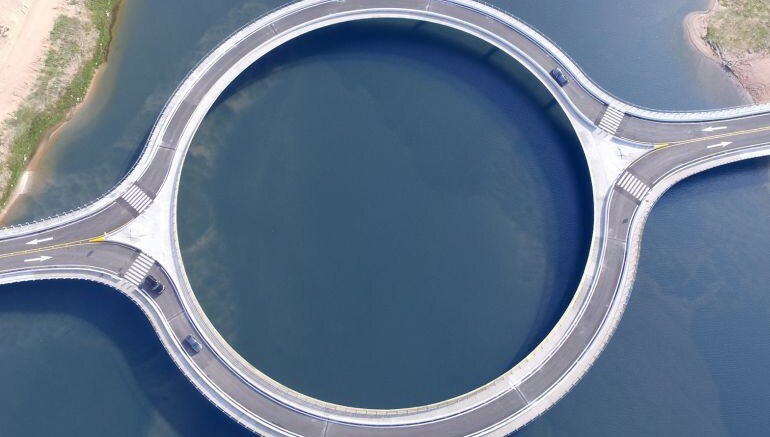 To know more about architect Rafael Viñoly and his various projects, visit his official website.